A specter is haunting contemporary television-the specter of creepiness. In our everyday lives, we try to avoid creepiness at every cost, shunning creepy people and recoiling in horror at the idea that we ourselves might be creeps. And yet when we sit down to watch TV, we are increasingly entranced by creepy characters. 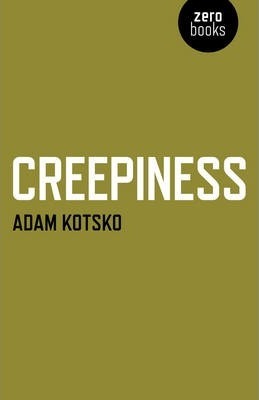 In this follow-up to Awkwardness and Why We Love Sociopaths, Adam Kotsko tries to account for the strange fascination of creepiness. In addition to surveying a wide range of contemporary examples-from Peep Show to Girls, from Orange is the New Black to Breaking Bad-Kotsko mines the television of his 90s childhood, marveling at the creepiness that seemed to be hiding in plain sight in shows like Full House and Family Matters. Using Freud as his guide through the treacherous territory of creepiness, Kotsko argues that we are fascinated by the creepy because in our own ways, we are all creeps. Adam Kotsko is Assistant Professor of Humanities at Shimer College in Chicago (USA). He is the author of Awkwardness and Why We Love Sociopaths: A Guide to Late Capitalist Television and blogs at An und f r sich (itself.wordpress.com).